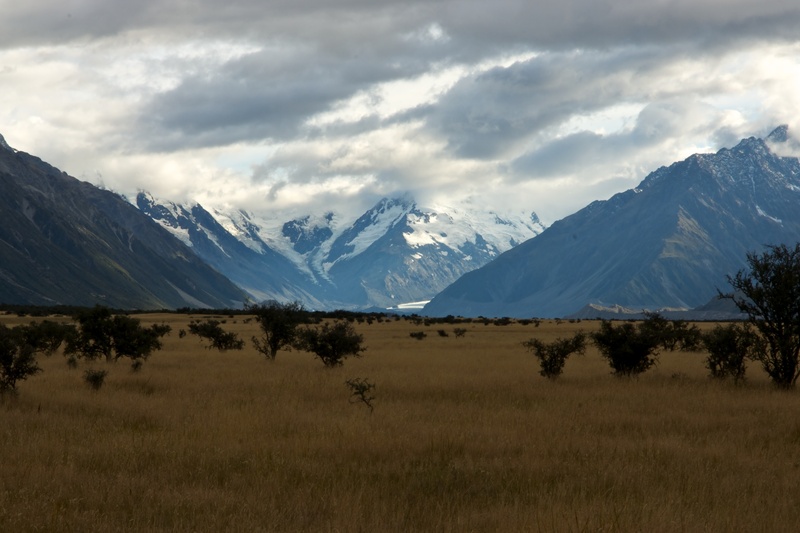 We headed away from the Aoraki Mount Cook National Park today, towards Queenstown. It was still cloudy but there was enough light catching the mountains to justify one farewell picture of the Tasman Glacier viewed across the flat plains left by previous glacial activity. Posted in New Zealand, Photography, Travel Photography and tagged Aoraki Mount Cook, New Zealand, photography, Tasman Glacier. Bookmark the permalink.